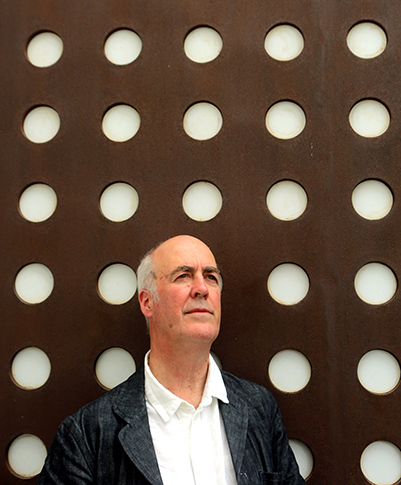 I have been asked to select my ten favourite paintings from the collections of the Royal Academy as a way of advertising the benefits of online browsing of the collection on the BBC website Your Paintings (http://www.bbc.co.uk/arts/yourpaintings/). I initially thought that I would just choose the ten most famous paintings, partly inspired by seeing so many of them displayed in the exhibition, Genius and Ambition, in the grand Victorian galleries at Bendigo in Australia. But you don’t necessarily need the website to find out about Constable’s Leaping Horse. What I like about the website is that it is easier to find out about paintings that even I did not know existed because they are kept in store (once we have our new building open in Burlington Gardens I very much hope that more of them will be shown). I thought that I would start with a painting which I found myself looking at during a long meeting earlier this week. It’s attributed to Zoffany, but not entirely convincingly (1781 was the year he exhibited his great group portrait of the The Sharp Family) and shows The Antique Room of the Royal Academy at New Somerset House (03/846). 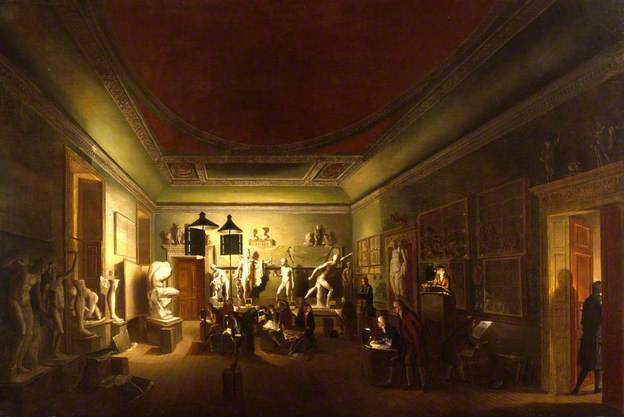 It shows a group of students drawing from the already extensive collection of classical casts – the so-called Plaster Academy – not long after the Royal Academy’s new building was opened in Somerset House. The now ageing Keeper, George Michael Moser, is said to be overseeing the class, but it doesn’t resemble the caricature of him by Rowlandson. The picture has an earnestness to it which gives a sense of the appeal of the Academy in its early days, the opportunity to learn to draw by candlelight under the supervision of established artists and with their guidance, and their passionate interest in copying from the antique. Today I’ve got an all-day meeting in King’s Cross. The journey was not half so easy. 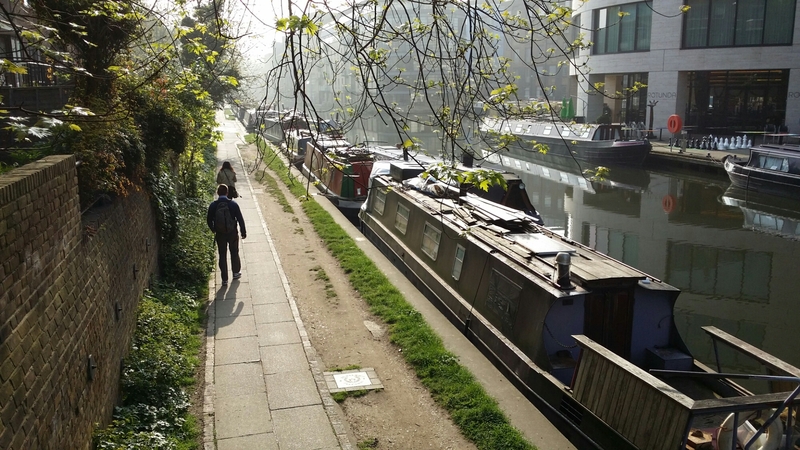 I decided to walk through the early morning mist along the canal. The rest of London had decided to do the journey by bicycle. It was like being in the middle of a bicycle marathon, children on bicycles, dispatch riders, racing bicyclists, Boris bicyclists, all ringing their bells as they rushed past en route to Canary Wharf. Suddenly the sun shone. There are benefits in living on the District Line when it comes to strike days. I remember reading in John Lanchester’s admirable short book book about it that the older drivers graduate to the District Line in order to enjoy the long journeys above ground between Bromley-by-Bow and the green fields of Upminster at one end and out to Wimbledon at the other instead of having to endure the deep bore tunnels of the Northern Line. This means that, when everyone else has to endure long traffic jams and queues for the buses, the citizens of Stepney can travel as normal from Stepney Green undergound station, purling through Cannon Street and Embankment to Charles Holden’s stately headquarters at St. James’s Park. Last night we were invited to the end-of-the-run show for Miss. Hope Springs, the resident drag queen, who has presided at Crazy Coqs, the cabaret bar which has been preserved beneath what used to be the Atlantic Hotel and is now Whole Foods. As the last show in what has been a two-year run, it was a nicely over-the-top combination of songs which were coarse, boisterous and sometimes sentimental. 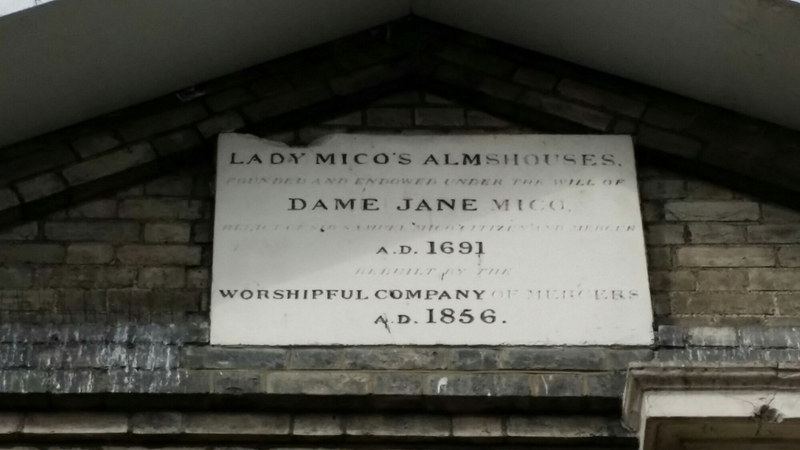 My attention was caught whilst out walking this morning by an inscription on the side of the Victorian almshouses to the south of Stepney parish church which revealed that they were the gift of Dame Jane Mico in 1691. LADY MICO’S ALMSHOUSES FOUNDED AND ENDOWED UNDER THE WILL OF DAME JANE MICO RELICT OF SAMUEL MICO CITIZEN AND MERCER.